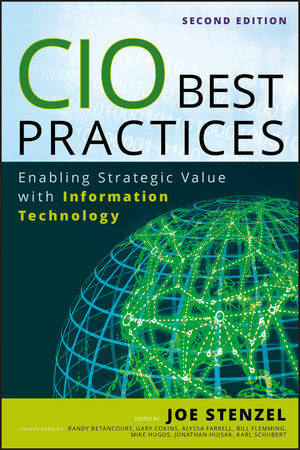 For anyone who wants to achieve better returns on their IT investments, CIO Best Practices, Second Edition presents the leadership skills and competencies required of a CIO addressing comprehensive enterprise strategic frameworks to fully leverage IT resources. JOE STENZEL has worked as editor in chief of the Journal of Strategic Performance Management and Cost Management, and two Warren, Gorham, and Lamont periodicals since 2000. He has written or co-written four other books for John Wiley & Sons: Essentials of Cost Management, From Cost to Performance Management, CFO Survival Guide, and Lean Accounting.